There are a few things I'm willing to sacrifice for a sweaty workout, including my foundation, my silk-pressed hair, and my contour. But the one thing I'm not willing to part with? My eyebrows. I'm very particular about my brows, which were once over-plucked and spaghetti-thin. 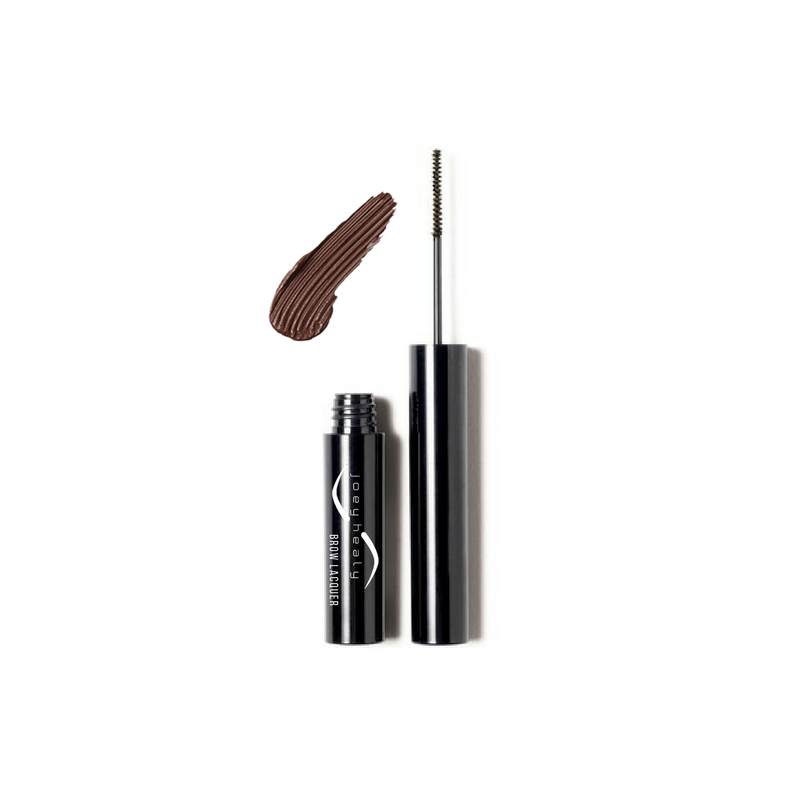 It has taken years to get them to the fuller arch I have today, and I never leave the house without filling in my sparse areas with a tinted brow gel. I've tried a lot of brow gels on the market, and I've definitely learned they are not all created equal. Some don't provide enough pigment to shade in my bald spots; others smear off when I accidentally itch my brows or touch my forehead. But Joey Healy's Brow Lacquer in the shade Oak did none of the above — in fact, it was the only thing that lasted through a two-hour cardio-dance session at Banana Skirt Fitness. My eyeliner was not as lucky. But, at the end of it all, I flipped my Instagram camera open to take an obligatory "I survived" selfie — and was shocked. My skin was drenched in sweat, but my brows looked exactly like they did before class began: filled-in, full, and not a hair out of place. The color didn't feather or fade when I dried my skin off with a towel, either, and I was able to confidently leave class feeling put together — even with sweat dripping down my back. If this brow gel can successfully survive two hours of dancing to "Twerk" by Cardi B and The City Girls, I'm confident it can survive anything.